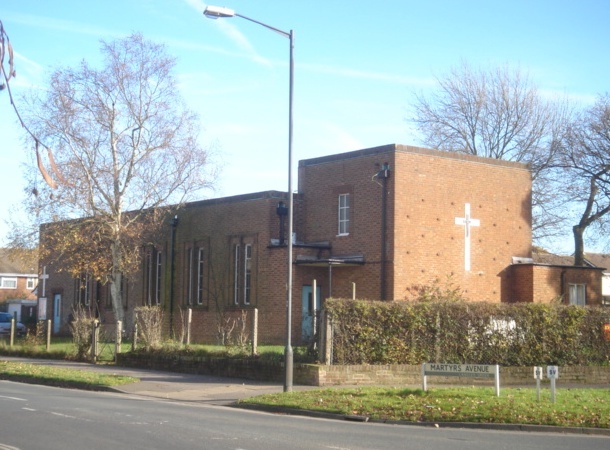 The foundation stone was laid in 1954 and the church opened the following year. The architect was A B Knapp-Fisher (BE p206). It is built of brick, with paired narrow windows. There is no tower as such, but the east end is rather higher, with a large cross on its otherwise blank end. The aisled interior is almost equally modest, with a slightly curved ceiling.